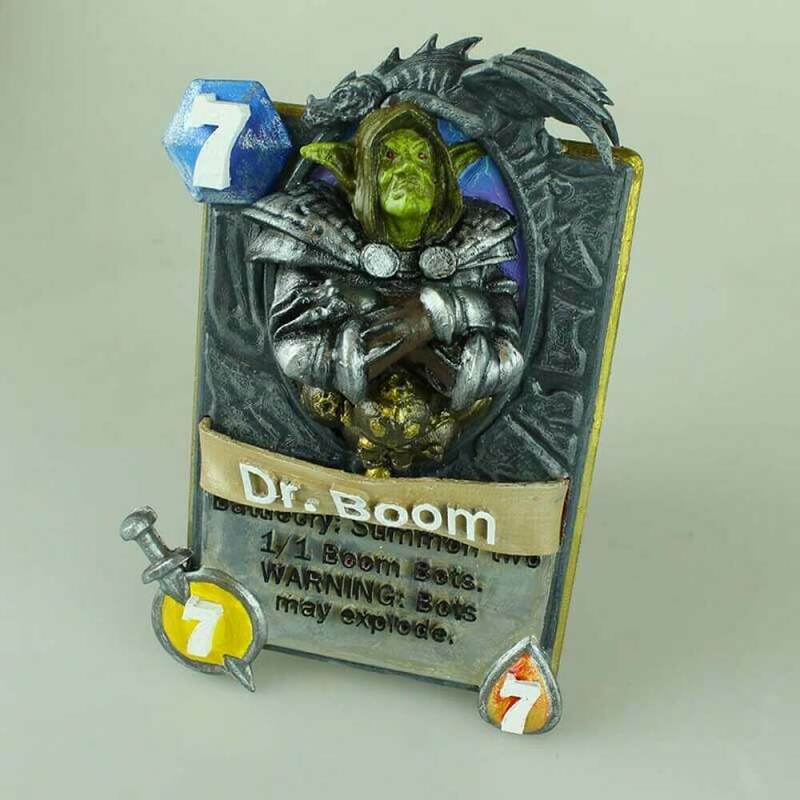 1: Dr. Boom Card. You find the files at MyMiniFactory. 2: Day Card. It’s made by Ricardo Salomao and Simone Fontana. 3: Annoy-O-Tron Card. You find the files at MyMiniFactory. 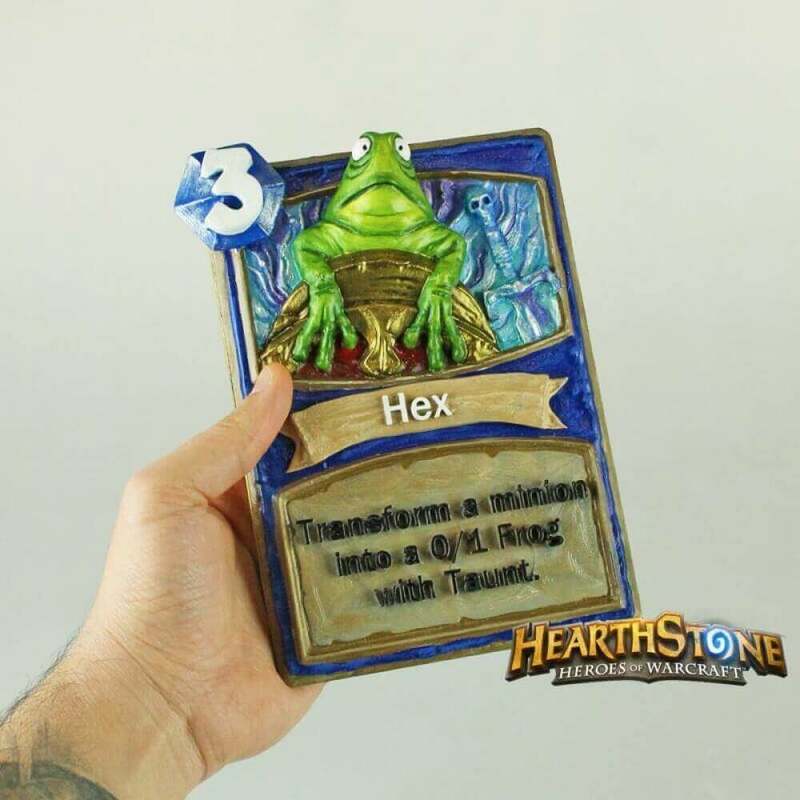 4: The Hex Frog Card. It was designed by makers Ricardo Salomao and Simone Fontana. 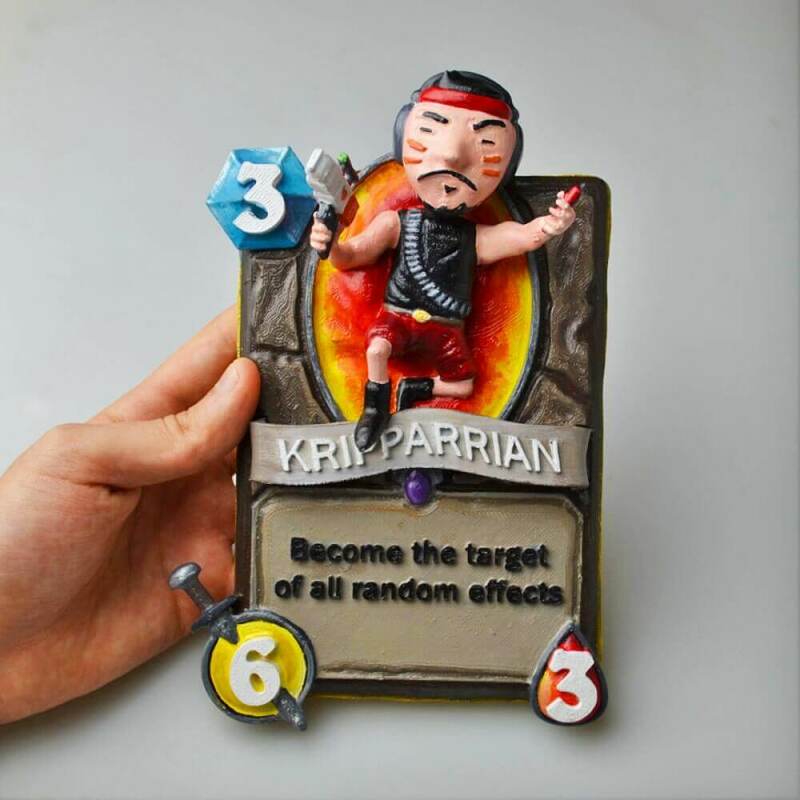 5: The Kripparrian Card. Octavian “Kripparrian” Moroșan is a noted player of Hearthstone. You may know him from his daily late night stream on Twitch. 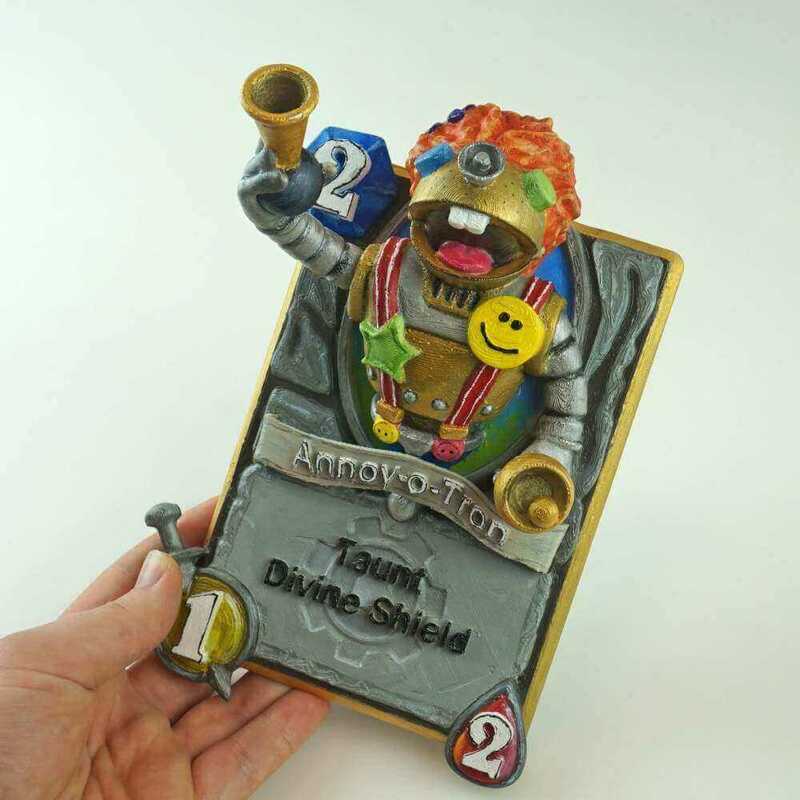 The custom made Hearthstone card was made my Ricardo Salomao and Simone Fontana, who are known to the maker community as 3DNA. The print was designed and hand-colored by them. 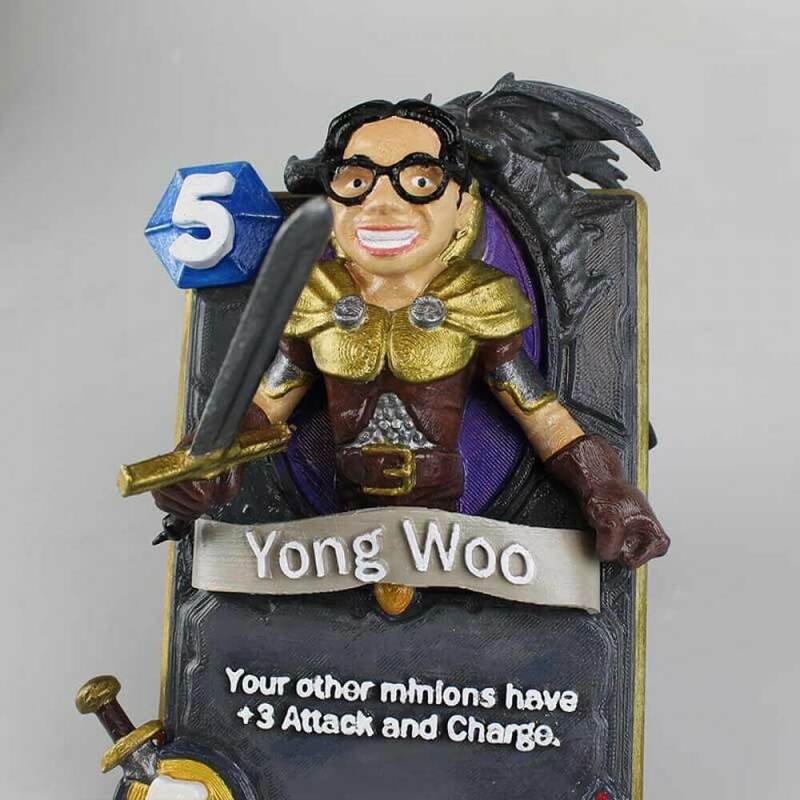 6: Yong Woo Card. Yong Woo is the Senior Producer of Heartstone. 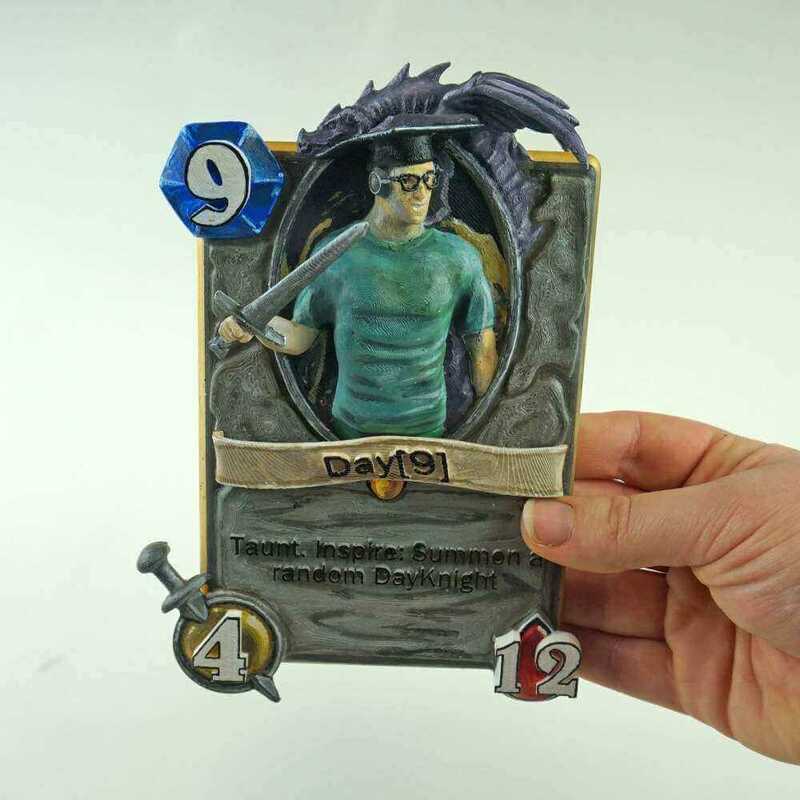 Inspired on the Legendary card layout and on his avatar, this card was designed using ZBrush and Rhino. 7. The DIY Card. You find the files for free download at Thingiverse. 8: The Trum Po Card. 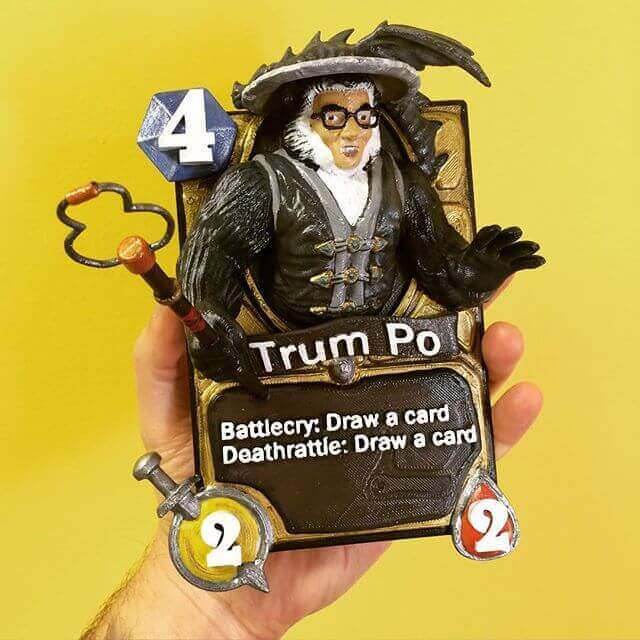 The Trum Po card is currently work in progress. It’s a collaboration from Ricardo Salomao and maker Fntsmn. 9: The Exorcism Card. This card really jumps at you. 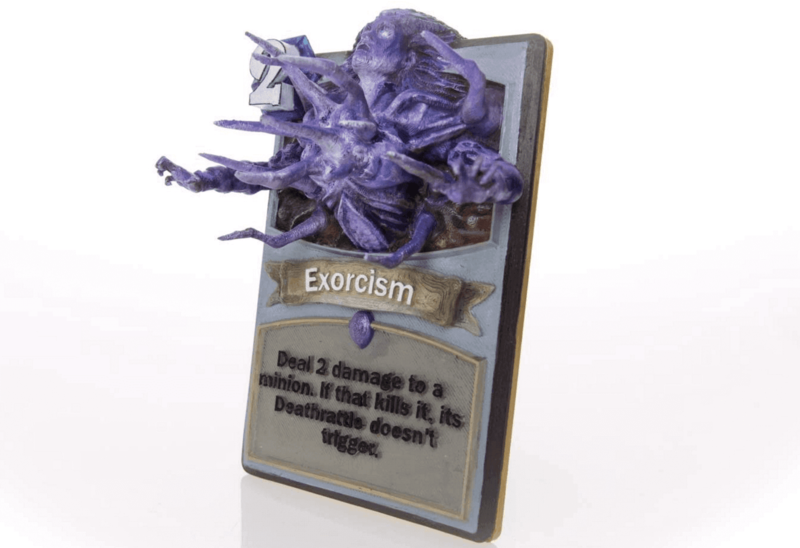 Ricardo Salomao designed and 3D printed this card. 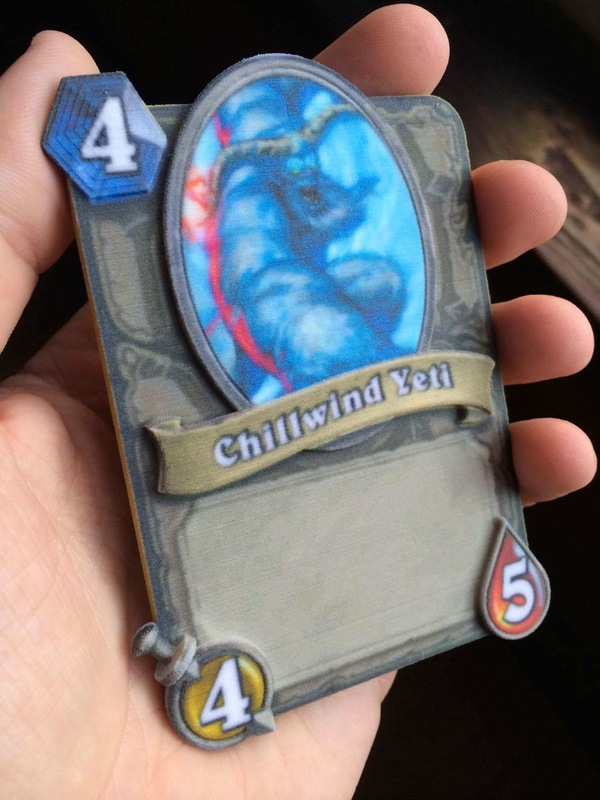 It’s nspired by the winner of the Hearthpwn Forum “The Winter Unveiling” Card Design Competition. 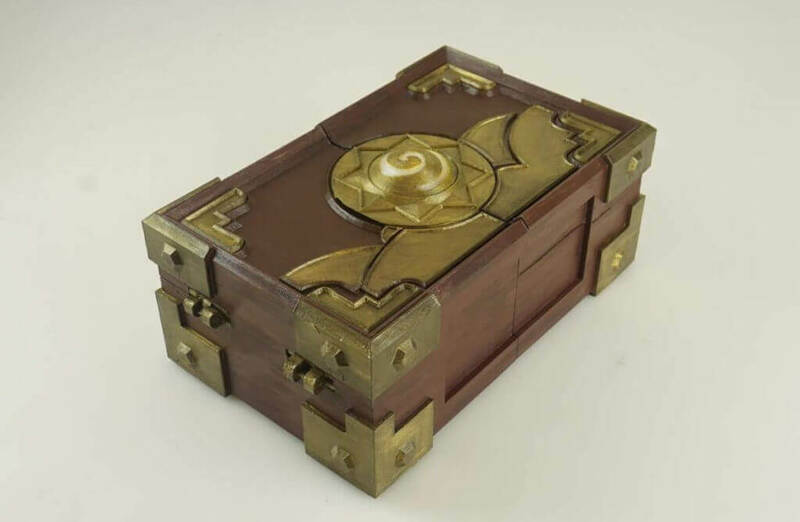 It’s a Hearthstone themed box you can 3D print and use for cards, dices and small things. According to the creator Julien De Muyter, “the print is not complicated but takes little bit long. Everything is printable, even the hinge. The assembling is only made by glue, all the tolerances are already include. In the central parts you can find a space to insert a secret or a small light.” Download or buy it at MyMiniFactory.